Back when the very first Pop art piece saw the light of day in the mid-1950s, I don’t think anyone could have imagined the success it would have over the course of the next fifty years and beyond. Painting the most banal, everyday life things with almost no painting skills whatsoever? The museums laughed, oozing in the marvel and the commercial triumph of an art movement which did the opposite of such act – it expressed the abstract. But who’s laughing now? 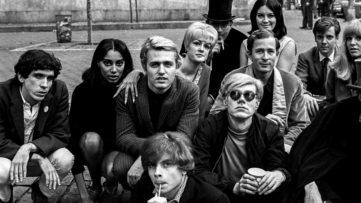 It is those very museums that Pop art fought against, as they backed away from putting on display our reality in its purest form, and as a movement, Pop art became one of the greatest among those of the 20th century and, safe to say, of art history in general. In this article, we take a look at a few things that contributed to its long-term reign, as strong and captivating as ever. 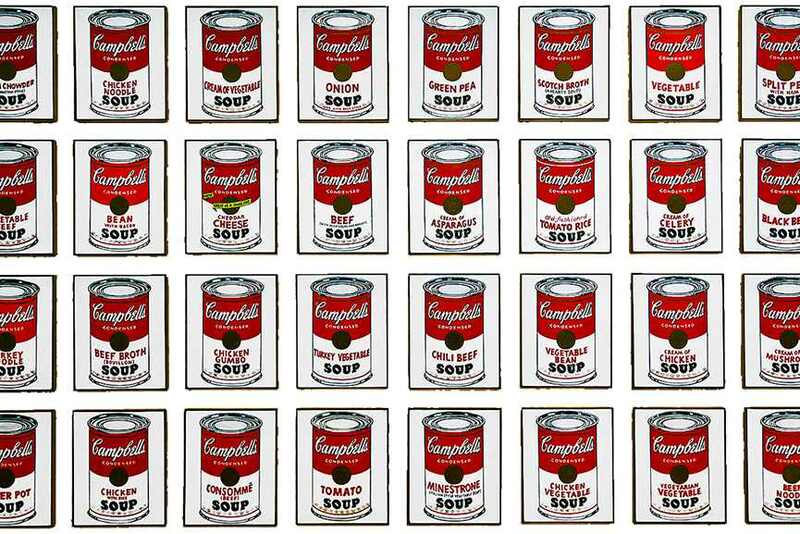 Scroll down to see 10 Pop Art Facts! From reviews of the very first shows of many of these artists to interviews with them, to news stories about their collectors and their lifestyles, Pop Art: A Critical History represents the most complete and coherent record of Pop art yet published. It chronicles one of the most controversial art movements of the century. The anthology draws from a great range of sources, from the leading art magazines and art historical journals to newspapers and news magazines such as the New York Times, Life, and Newsweek. 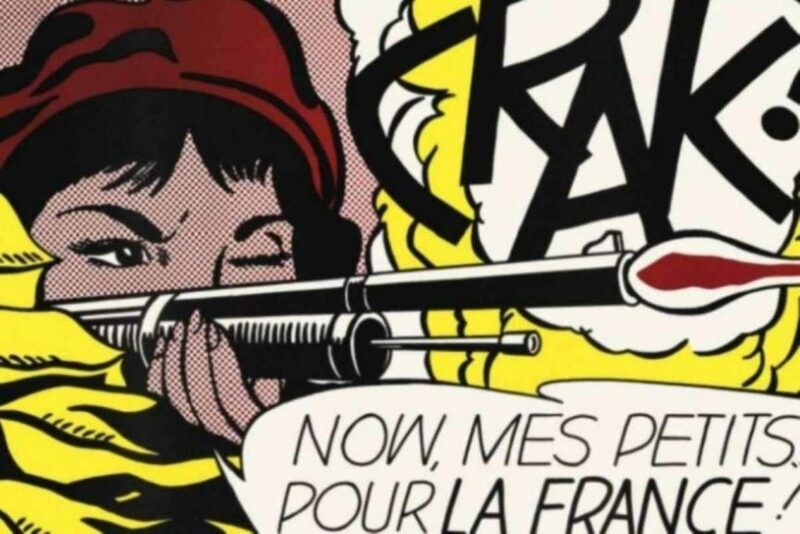 What emerges from this rich cross-section of critical and journalistic commentary is a fascinating view of the tumultuous rise of Pop art and its establishment as a major force in contemporary art. A broad selection of articles traces the emergence of the movement itself in England and America, as seen through the eyes of the working critics of the day. The first thing to know is that Pop Art was inspired by the basics and banality of the things we’re surrounded with, things we use on a daily basis, household objects we consume to the point where we don’t even notice using them anymore. Well, the movement was there to remind us of them, and in an aggressive, saturated style too. It is all about the virtual pleasures of people, the sheer enjoyment of popular culture, television, advertising, comic books, magazines, the world of celebrities. Mass media became fine art in no time, and the world seems to have welcomed this shift with excitement. 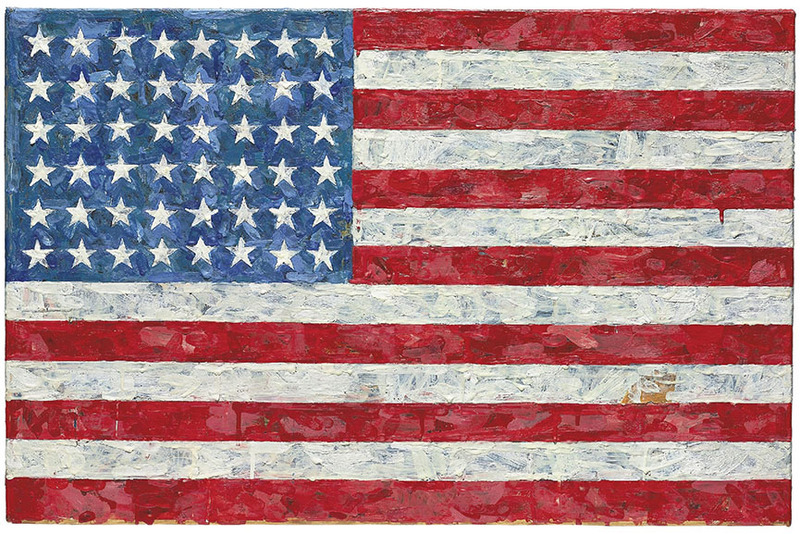 Artists like Richard Hamilton and David Hockney were among the most prominent protagonists of Pop art movement in Britain in the mid 1950s, and its popularity quickly spread to the other side of the pond by the end of the decade, where it expanded through the practices, of Roy Lichtenstein, Jasper Johns and, of course, Andy Warhol. While the English movement was more subjective, often even romantic and sentimental, the American one was far more aggressive and bold, focusing on the notions of mass-production and the American consumerist culture. 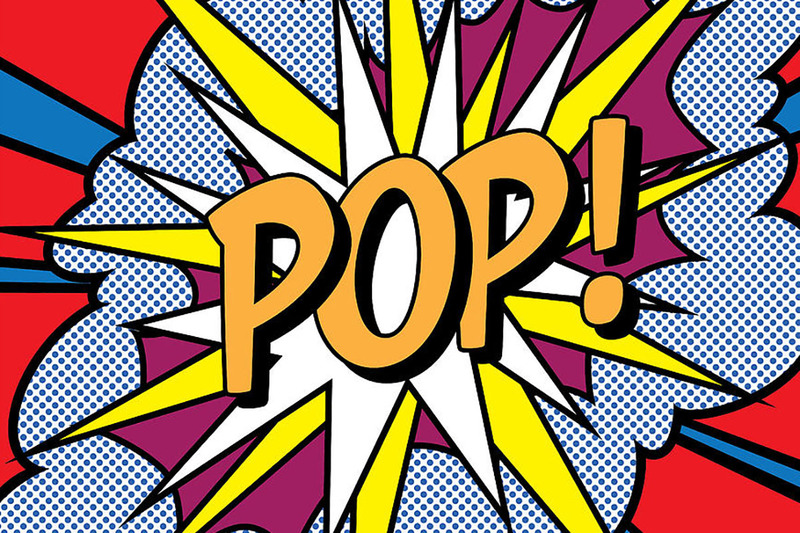 In fact, the term “pop art” was officially introduced in December 1962, when the Symposium on Pop Art opened at the Museum of Modern Art in New York City, during the golden age of the country’s advertising industry. Be sure to check out works by David Hockney! A decade before that, the Independent Group (IG) was founded in London, and is still regarded as the precursor to the larger movement. They represented a group of young painters, sculptors, architects, writers and critics who were challenging prevailing modernist approaches and the traditional views of fine art. It was during the group’s first meeting that Eduardo Paolozzi, its co-founder, presented a series of collages titled Bunk!, assembled between 1947 and 1949 using “found objects” such as advertising, magazine covers, comic book characters and graphics. One of the collages was I was a Rich Man’s Plaything from 1947, considered to be the first Pop artwork ever. It was also the first time that the word “pop” was used in an artistic context. As both pop music and pop art began to rise in the 1950s and all through the 1960s, it was inevitable that they would have an impact on each other. The two British movements, for instance, were basically inseparable. 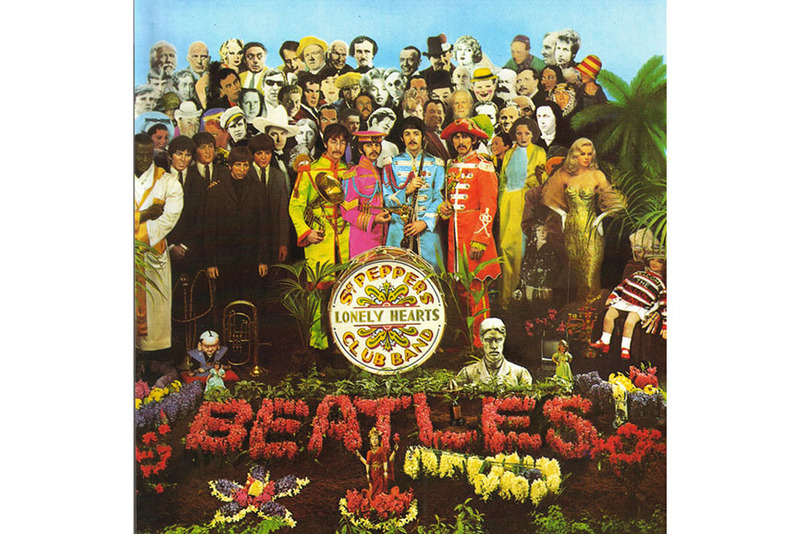 With bands like The Beatles and the Rolling Stones being everywhere you looked, it was only a matter of time before they’d become the subject of a Pop art piece, and so we got artist Peter Blake making album covers for The Beatles. 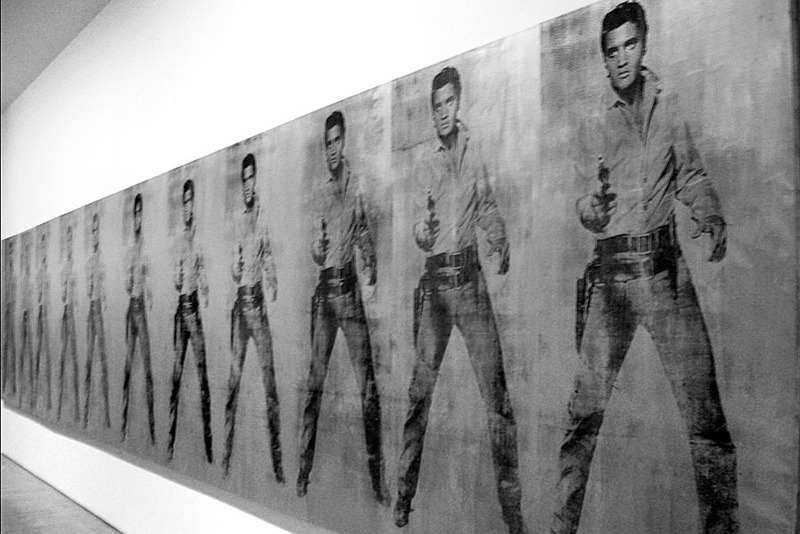 His art even reached the US, when he did the same for Elvis Presley. 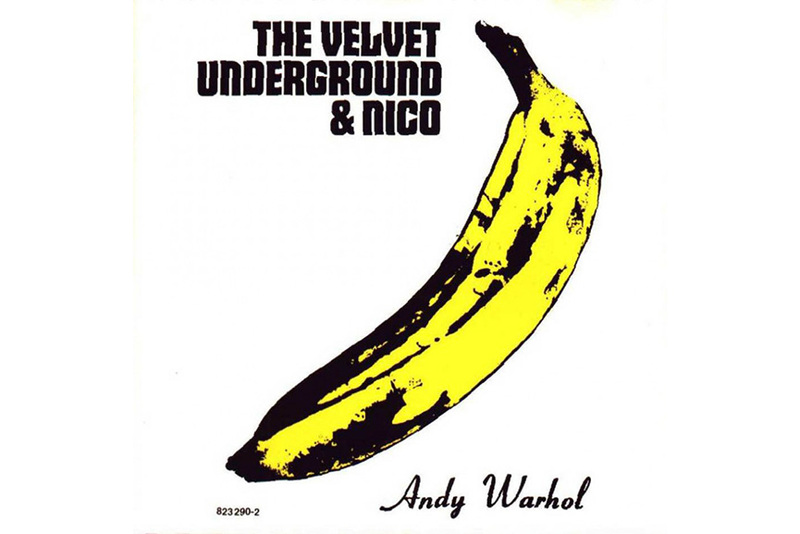 And who will ever forget the iconic album cover that Andy Warhol did for Velvet Underground? In terms of the use of found objects and images, Pop art was similar to Dada, except it took the destructive, satirical and anarchic elements that were going against war and art in general, and replaced them with strong references to consumerism and mass culture. At the same time, artists like Pablo Picasso and Marcel Duchamp created work that was leading up to Pop art at one point. We could compare the two movements in technical terms only, because Pop art came to develop a variety of new ways of production, as the ready-made and DIY methods became a thing of the 1950s and 1960s. Pop art didn’t just draw inspiration from the contents of popular mass culture, but also the techniques they used in order to reach their primary audience. 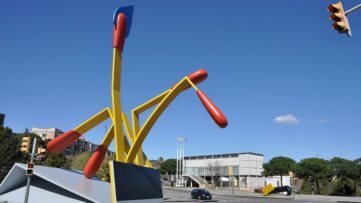 And so, its artworks borrow the looks and the execution techniques of advertising, comic books, mass-produced designs etc. 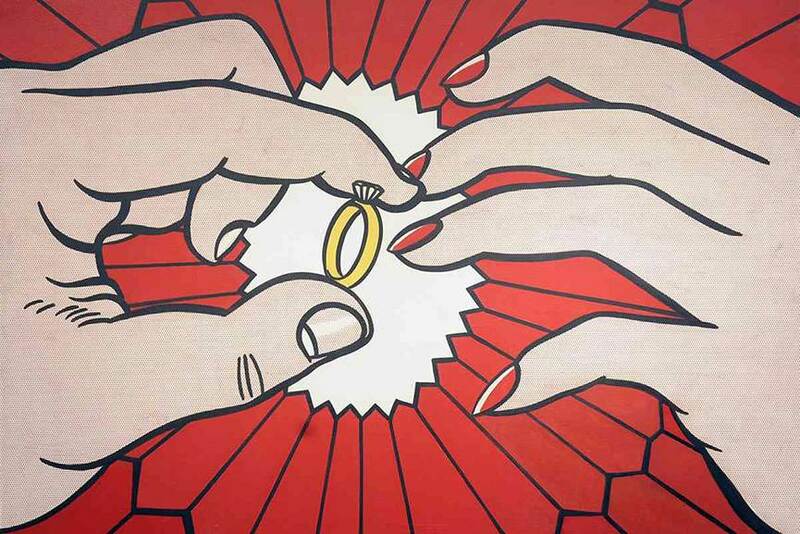 Think of Lichtenstein’s works again, that were all about bold colors like red, yellow and blue, strong outlining and the famous Ben-day dots, used as the quickest and cheapest way to produce comics. Think Warhol, and his serigraphy and silkscreens. 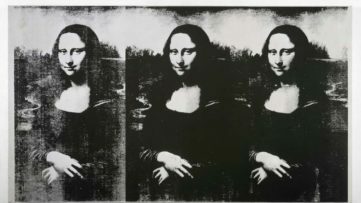 These techniques further emphasize the simplicity and the physical superficiality of Pop artworks and go hand-in-hand with their visual appeal. During the pop art movement, especially in its later stages, artists enjoyed satirizing objects by enlarging them to massive proportions. One of the most common themes was food, but also household objects. 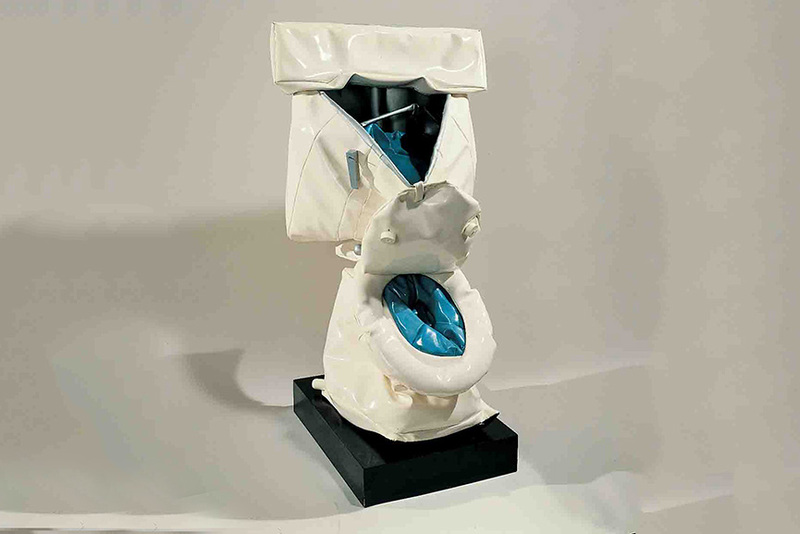 To represent these artists there are Claes Oldenburg and of course Jeff Koons. The former created iconic pieces of giant ice cream cones, eaten apples, shuttlecocks, saws, spoons, electric plugs, matches, and much more. The latter is famous for his balloon dogs and other animals, for instance, or the colourful tulips. Pop art has had an immense influence on package, product and design in general, having also been inspired by it in return. Today, it continues to appeal a large number of people, keeping the market strong and almost unbreakable. Like during the 1960s and 70s, we still see colourful birthday cards, t-shirts, designs, badges, calendars, posters, canvases, fashion pieces and much more, everywhere around us. 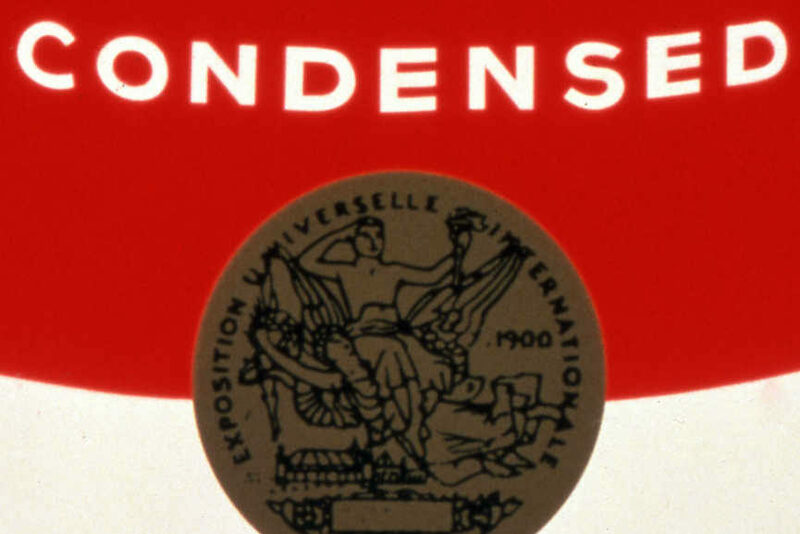 With the introduction of digital technologies, it all only became even more accessible and more easily produced. Many contemporary artists still work in Pop style and have great success on the market, among them Clemens Briels, Romero Britto, James Rizzi and Steve Kaufman. 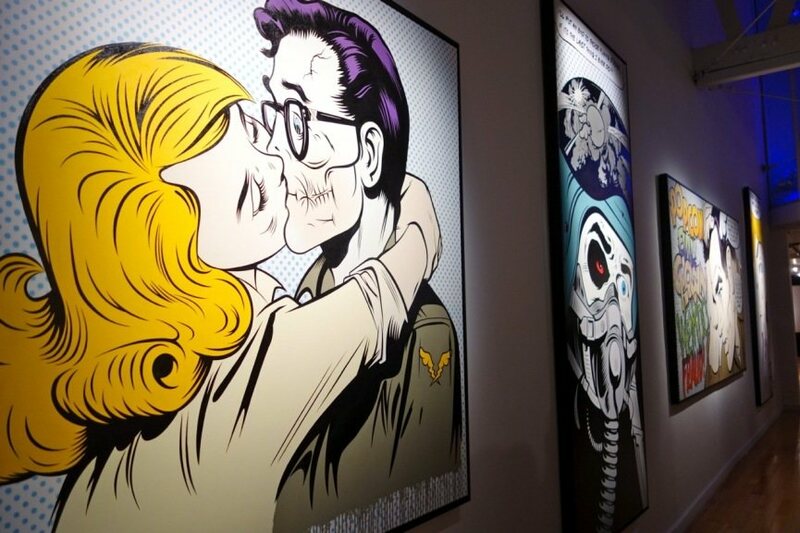 In this context, we can also talk about the influence of Pop art on Urban art, the works of artists like DFace, Ben Frost, Jim Avignon and many others. In 2015 alone, there was an impressive number of Pop art exhibitions, including the one at Tate Modern and the one at 30works Cologne. Pop is going nowhere, and all you can do is go with the flow and celebrate life with it!